This article, by MArgaret Cook, was originally published on the Queensland State Archives website, March 2011. The first royal visitor to Australia was Prince Alfred, the second son of Queen Victoria (later to become the Duke of Edinburgh). A Royal Navy Captain on a world tour on board HMS Galatea he visited Queensland in March 1868. During his visit, The Brisbane Courier reported a restless, feverish excitement as seemed to pervade all classes during the whole time. His visit included a trip to Ipswich and Jondaryan and laying the foundation stone at the original Brisbane Grammar School site in Roma Street. Princes Edward and George (aged 17 and 16 respectively) visited from 16 to 20 August 1881, while serving as midshipmen on HMS Bacchante. A public holiday was declared and the Princes were greeted by cheering crowds and a fireworks display in the Domain within the Brisbane Botanic Gardens. The visit included a meeting with parliamentary representatives, a riding party, garden party (where the Princes played tennis), an “At Home” at Government House in George Street with up to 500 guests (where the Princes danced most dances), a picnic at Enoggera Reservoir for 200 people (where they rowed), a ride to One-Tree Hill (Mt Coot-tha) and a tree planting ceremony at Brisbane Grammar School of two figs labelled “Edward” and “George”. Prince George, the press recorded, had a ‘merry air and a very pleasant smile’. In 1901 Prince George returned as the Duke of Cornwall and York, with his wife (later King George V and Queen Mary). His father’s (Edward VII) planned Empire tour was cancelled on the death of Queen Victoria in January 1901, prompting Prince George to visit Australia instead to open the first Federal Parliament in Melbourne. In Queensland from 20 to 25 May 1901, the Duke’s duties included the presentation of an address at Government House and laying the foundation stone of St John’s Cathedral. The royal couple opened the Brisbane Agricultural Show and attended a children’s fete and fireworks in the Domain, (where a children’s choir of 5000 performed) and a municipal concert in the Exhibition Hall. They travelled by train to Warwick with scheduled stops providing opportunities for more people to view the future King and Queen. A private shooting party was held for the Prince near Warwick. Edward, Prince of Wales (later Edward VIII) visited from 26 July to 5 August 1920 on behalf of his father, King George V, to thank Australians for the part they had played in World War I. Travelling by royal train Prince Edward visited Wallangarra; Warwick; Toowoomba; Gatton; Hendon; Clifton; Ipswich; Maryborough; Gympie; Nambour; Landsborough and Caboolture. Train platforms were decorated and the route was lined with ex-servicemen and loyal subjects. Special emphasis was given to meeting ex-servicemen, including visits to Amiens, Cottonvale and Beerburrum Soldier Settlements; Anzac House and Rosemount and Enoggera military hospitals. The Duke and Duchess of York (later King George VI and Queen Elizabeth who became the Queen Mother) visited in 1927, their principal duty to open parliament in Canberra. Between 5 April and 12 April 1927 they travelled by train from Wallangarra to Toowoomba; Gatton to Beaudesert; Brisbane and Tweed Heads, stopping in between. The royals’ request for the tour was to see and be seen by as many people as possible and to meet returned soldiers, new settlers, war widows, bereaved mothers and school children. The Duke of York laid a wreath at the Toowong Cemetery Cross of Sacrifice and visited Rosemount Repatriation Hospital. A Vice-Regal Ball and state, civic and people’s receptions were held. They attended the Royal National Agricultural and Industrial Show (the royal prefix was added in 1921) and watched school children perform. Private visits to “Coochin Coochin” near Boonah and “Tamrookum” near Beaudesert were enjoyed. The Duke was conferred with an honorary law degree by the University of Queensland. 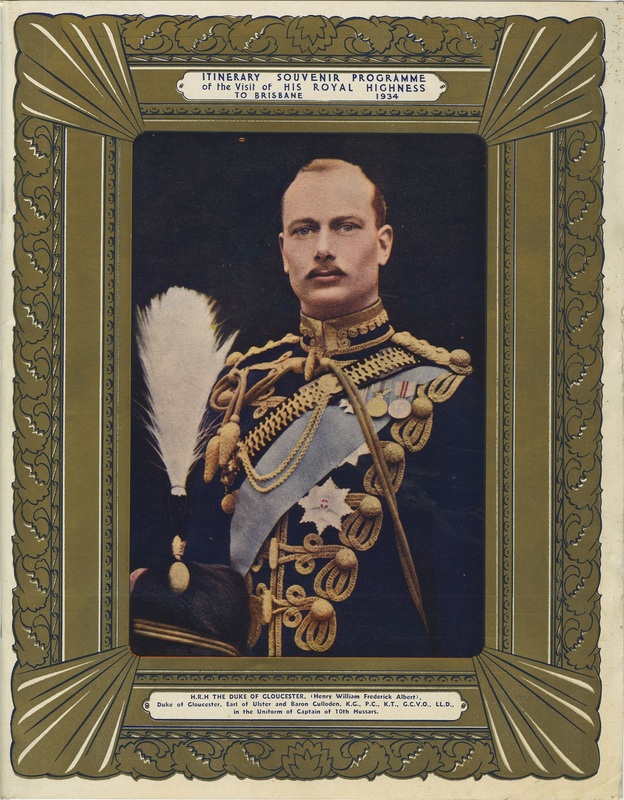 The Duke of Gloucester, sent primarily to celebrate the centenary celebrations of Victoria, toured Australia in 1934. Travelling by train and car, he spent 10 days in Queensland. Arriving on 1 December 1934 he visited Wallangarra and Stanthorpe and spent the weekend at “Terrica” station near Stanthorpe. 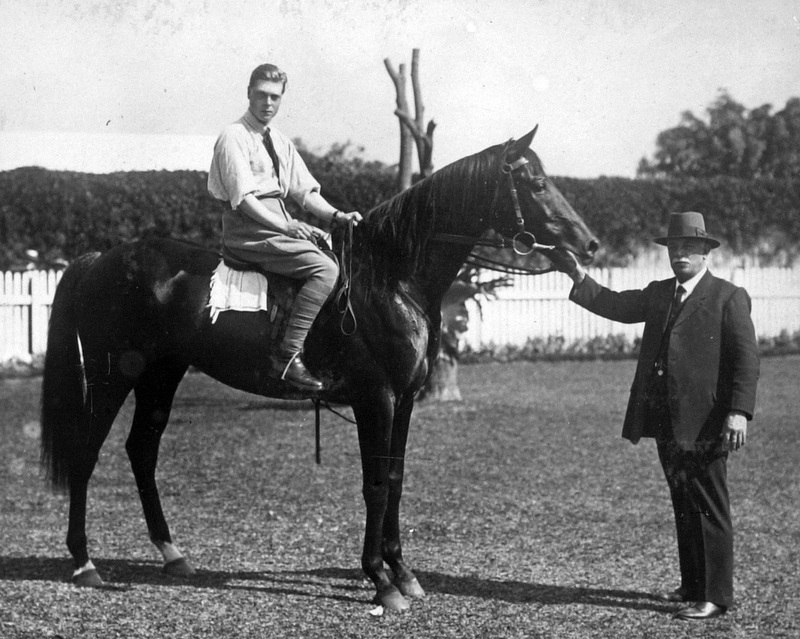 A civic reception and function in the showgrounds at Toowoomba; a visit to Gatton Agricultural College and the opening of the Sunshine Ward at Ipswich Hospital preceded a busy Brisbane itinerary of civic and state receptions, visits to the Exhibition grounds and the University of Queensland, dinners, lunches and balls including two in one night. 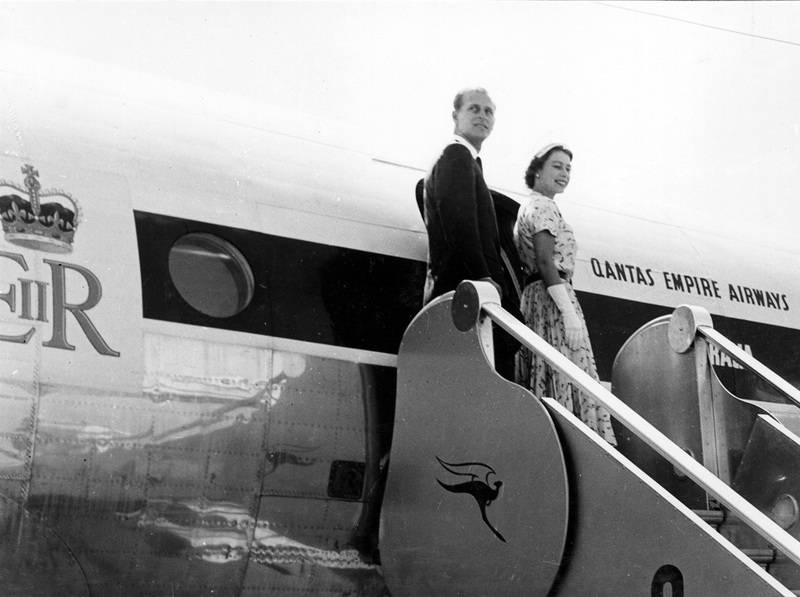 On 10 December at Archerfield Aerodrome he declared the overseas service of Qantas open. The Duke visited the Cleveland and Redlands district, Nambour and Buderim before leaving on HMAS Australia. Princess Elizabeth was en-route to Australia when her father died in 1952 and she returned to England. As a new monarch, Queen Elizabeth II and Prince Philip, Duke of Edinburgh, toured Australia in 1954. The first visit to use air travel, it was an extensive and exhausting tour, including 33 flights, 130 hours of driving, train and boat travel. All capitals (except Darwin) and 70 country towns were visited, allowing about 75 per cent of the population to view the new Queen. The Queensland portion of the “Royal Progress” was from 9 to 15 March 1954 and included Brisbane, Bundaberg, Oakey, Toowoomba, Townsville, Cairns, Mackay and Rockhampton as well as a day of rest on the Great Barrier Reef. Public holidays were declared by an Act of Parliament; buildings were painted, decorated and illuminated for the visit and in all towns people turned out in droves to see the royals. In Brisbane a civic welcome, state reception, investiture, Executive Council meeting and Lord Mayor’s Ball were held. 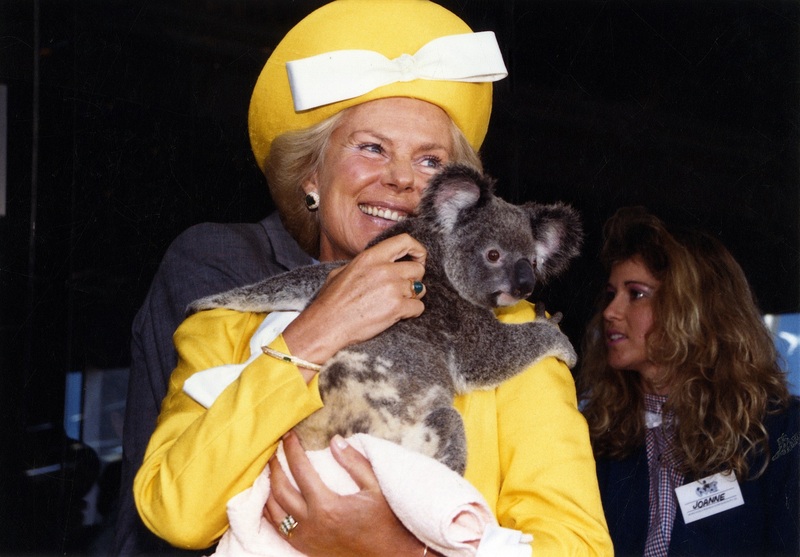 The tour was described as a magnificent success which ‘left an imperishable memory for Australians of our Queen and her husband. 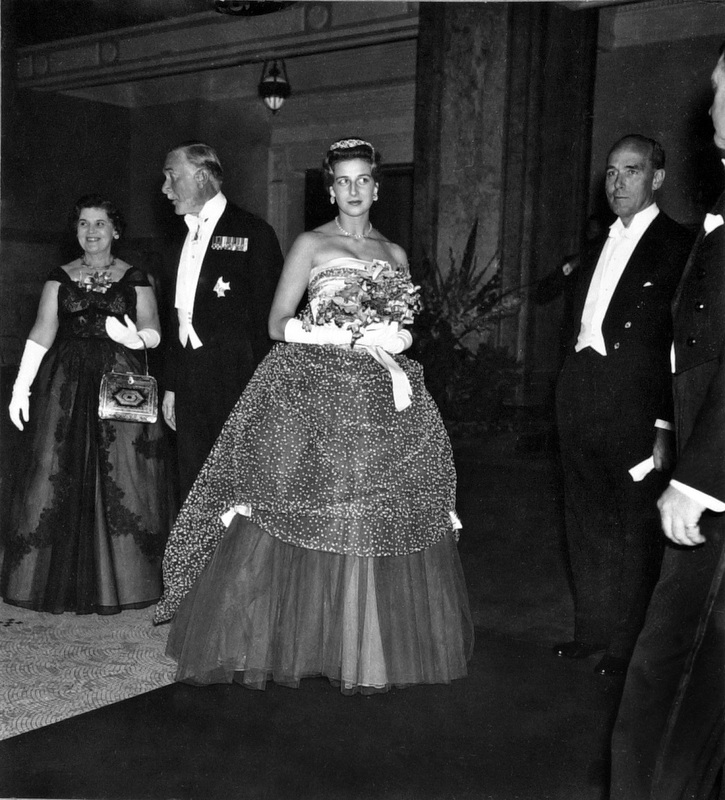 An extremely popular visit was that of Princess Alexandra of Kent in 1959. Heralded by Premier Nicklin as a shining highlight of Queensland’s Centenary Year celebrations, the 22 year old Princess won hearts with her ‘girlish charm’ and ‘unaffected grace and simple dignity.’8 Her tour from 18 August to 9 September 1959 took her to Brisbane, Warwick, Oakey, Charleville, Longreach, Mt Isa, Mareeba, Atherton, Cairns, Townsville, Proserpine, Bowen, Lindeman Island, Mackay, Rockhampton, Bundaberg, Childers, Maryborough, Gympie, Nambour and Redcliffe (a 3000 mile tour). Princess Alexandra unveiled a mural on the State Library of Queensland at William Street; declared ANZAC House (new Returned Sailors, Soldiers and Airmens Imperial League of Australia (RSSAILA) headquarters) open and was conferred an honorary law degree from the University of Queensland. 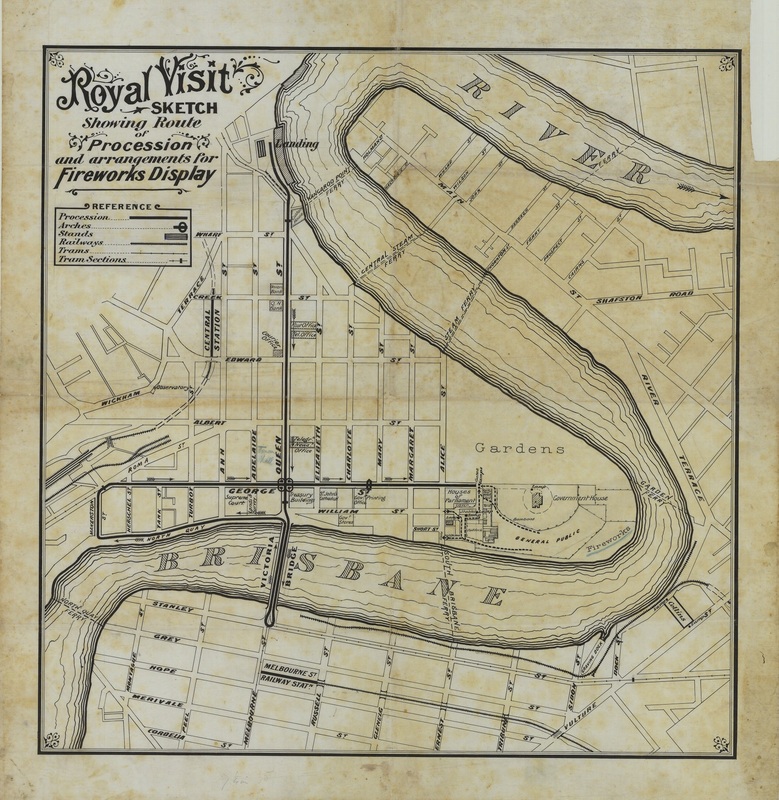 Such was her popularity that when she returned to Brisbane from her state tour, the streets were lined with 350 000 people from Redcliffe to Government House to welcome her “home”.9 The Alexandra Waltz was written and composed in her honour by prolific Queensland composer Clyde Collins. In 1960 the Diamantina Hospital was renamed Princess Alexandra Hospital in honour of her visit. 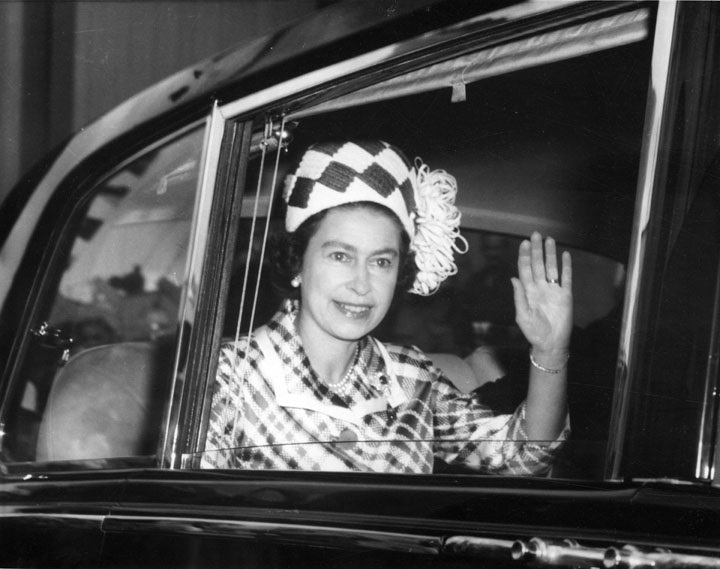 Designed to be less arduous with fewer formal functions than the 1954 tour, the 1963 tour by Queen Elizabeth II and the Duke of Edinburgh occurred between 6 to 8 March 1963 and only included Brisbane and Coolangatta.10 An enormous crowd gathered at Brisbane City Hall for the Civic Reception. The tour included a citizens’ welcome reception at the Exhibition Grounds; a visit to the Queensland Spastic Centre; unveiling a cairn at Bulwer on Moreton Island commemorating the discovery of oil in Queensland; an investiture; surf carnival and children’s welcome at Brisbane Cricket Ground. The Duke of Edinburgh has been the most frequent royal visitor to Queensland, both as Queen’s consort and as Patron of the Duke of Edinburgh’s Award. In 1967 he visited Brisbane when organising the third Commonwealth Study Conference. He visited independently in 1971, 1973 and again in 1986 when he opened the Gateway Bridge over the Brisbane river on 1 January. Prince Charles first visited Queensland unofficially in 1966 when studying at Timbertop, part of Geelong Grammar School in Victoria. He subsequently visited in 1974, 1977, 1979 and in 1983 with Princess Diana. Queen Elizabeth II returned with the Duke of Edinburgh and Princess Anne from 12 to 23 April 1970. Her duties included opening the Brisbane District Courts; an investiture; planting a tree in Longreach commemorating 50 years of Qantas; visiting the Royal Flying Doctors Base at Mt Isa and Lavarack Army Barracks at Townsville; proclaiming the independence of James Cook University in Townsville; unveiling a memorial stone at Cooktown where the Endeavour landed and opening the James Cook Museum in Cooktown. The Duke of Edinburgh presented his Duke of Edinburgh’s Award gold medals and had an underground tour in Mt Isa. Princess Anne visited the Oasis Tourist Gardens at Sunnybank and planted a tree at the Cunnamulla Civic Centre. On 13 May the royal family attended a production by the Queensland Theatre Company, the only Australian theatre company to give a royal performance. In Brisbane HMS Britannia was used as the official residence. The royal family travelledby RAAF aircraft. To celebrate the Silver Jubilee of her reign, Queen Elizabeth II and Prince Philip visited Queensland from 9 to 11 March 1977. A civic welcome was followed by dinner at Government House and a state reception at Cloudland Ballroom. The following day the duke presented his Duke of Edinburgh awards at Brisbane Grammar School with 400 guests present and attended a conference of capital city Lord Mayors. With Queen Elizabeth II, he attended a secondary schools carnival at Nathan (with 25,000 students present). A youth gathering at Government House was followed by dinner. The final day included unveiling a silver jubilee fountain at the new Queensland Cultural Centre in Brisbane and presenting art awards. 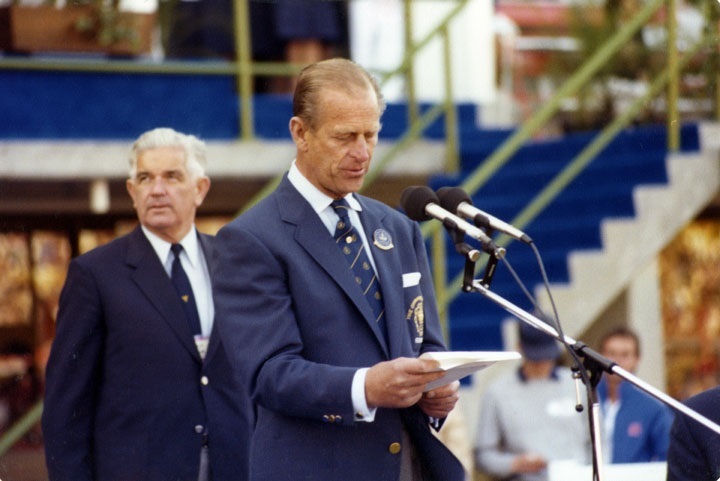 The Duke of Edinburgh officially opened the Brisbane Commonwealth Games on 30 September 1982 at QEII Stadium, named in honour of Queen Elizabeth II. He read the Queen’s message which had been carried in a baton 15 000 kilometres from Buckingham Palace to Brisbane. Queen Elizabeth II officially closed the Games on 9 October 1982 and with the Duke, she was driven around the stadium several times while the Australian team formed a guard of honour running alongside the car. It was considered an iconic moment summing up the spirit of the games. 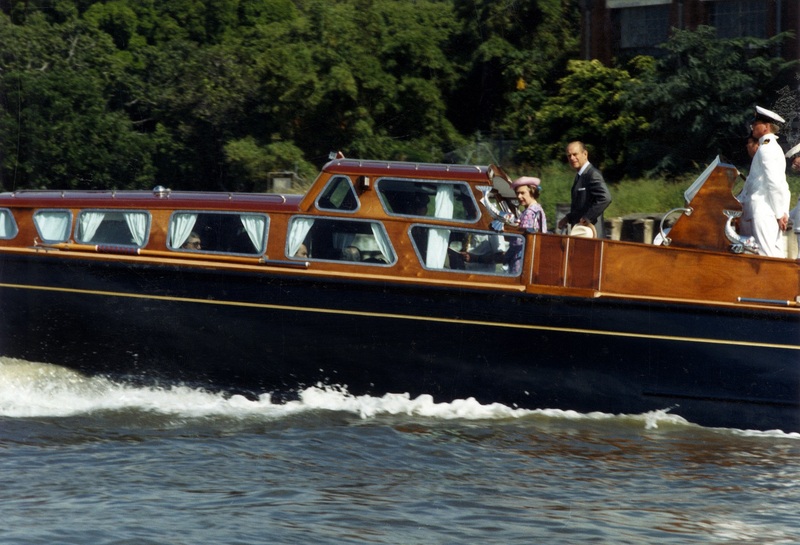 Other royals to have visited officially are Princess Marina, Duchess of Kent (1964); Prince Henry and Princess Alice, Duke and Duchess of Gloucester (1965); Prince Edward and Princess Katherine, Duke and Duchess of Kent (1985); Prince Andrew and Princess Sarah, Duke and Duchess of York (1988) and Princess Katherine, Duchess of Kent in 1988 and 1992. In March 2011 Prince William visited Queensland to tour places damaged by floods and Cyclone Yasi. During an official visit to Australia in October 2011 Queen Elizabeth II and Prince Philip opened the Commonwealth Heads of Government Meeting in Perth, the first time the event had been held in Australia since Queen Elizabeth II opened the 2002 Commonwealth Heads of Government meeting at Coolum, Queensland. The tour lasted from 19 to 29 October and, on 24 October, included a visit to Brisbane where the Queen attended a Queensland Government Reception for those affected by the natural disasters during the summer of 2010/11. 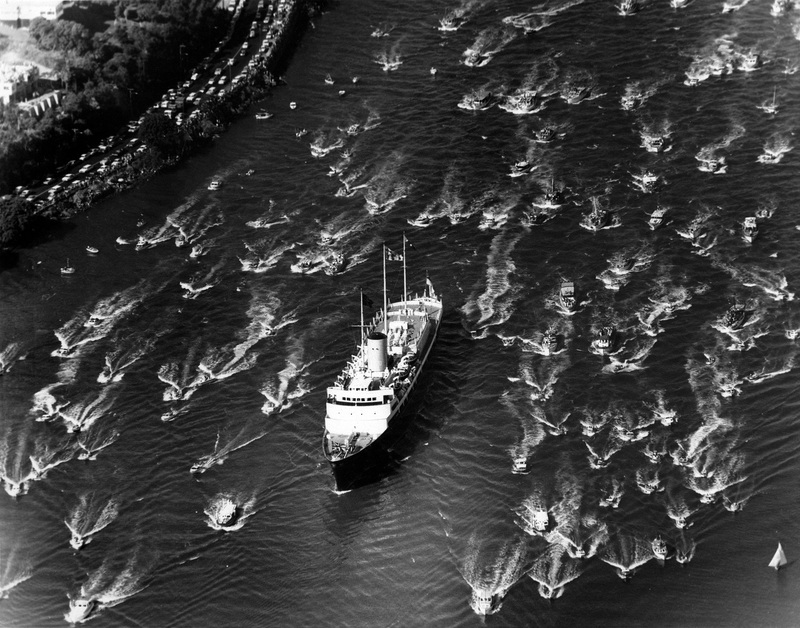 Whilst in Brisbane, Queen Elizabeth II and the Duke of Edinburgh delighted crowds taking a cruise on the Brisbane River from Bretts Wharf to South Bank and strolling through the cultural forecourt at South Bank. The Brisbane Courier, 23 March 1868, p. 5. The Brisbane Courier, 31 July 1920, p. 5. The Brisbane Courier, 5 July 1920, p. 7. The Brisbane Courier, 28 July 1920, p. 4. The Courier Mail, 9 September 1959. The Courier Mail, 5 September 1959. The Courier Mail, 12 November 1963. Princess Alexandra also went to Toowoomba in 1959. I was a school cadet one of many lining Coronation Drive in Brisbane in 1954, we were all armed with Lee Enfield .303s including bolts. Imagine that now!! I remember going to the Carlton theatrette afterwards and leaving the rifle at the box office and then later going home with it on the tram. Heath and Safety guidelines were certainly different then! Thanks for sharing. ← Who was Sir Thomas Bilbe Robinson?